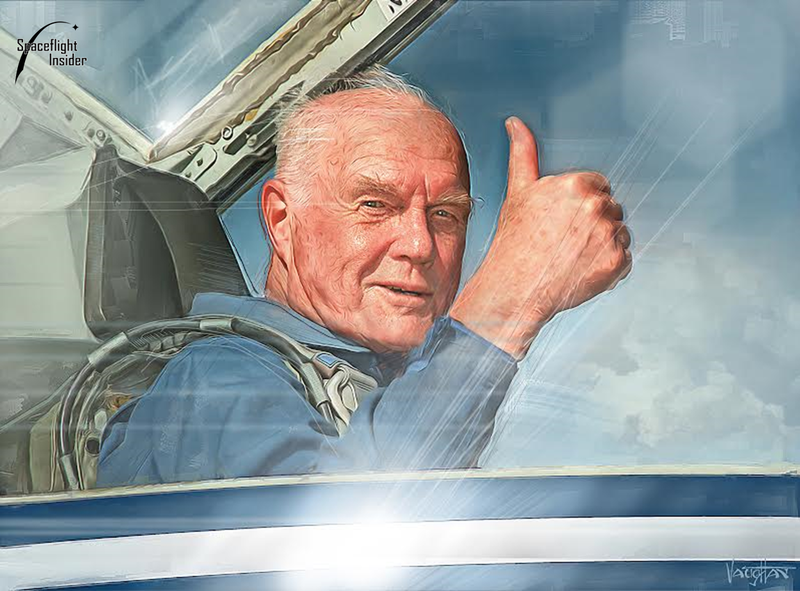 Few could ever hope to achieve in three lifetimes what John Glenn has done in one. As a father, husband, patriot, Marine test pilot, astronaut, senator, and even presidential candidate, Glenn’s life has been one of drive, determination, and the willingness to meet and overcome any obstacle set before him. However, it was not career ambitions nor accolades that drove Glenn. “How will what I am doing benefit others?” was the consideration at the core of everything he did. It is a belief that reflects not a life lived for achievement, but one of purpose. It was this steadfast commitment that moved Glenn always forward, ever faster, and reaching always higher. The dates and times listed below are simply signposts in the life of John Glenn. A compilation of details, facts, and events not just of a public servant, but of an American Hero. They only begin to account for all that he has achieved in a career spanning more than seven decades. John Herschel Glenn Jr. was born on July 18, 1921, in Cambridge, Ohio, to mother Teresa Sproat Glenn and father John Herschel Glenn Sr. His father was a plumber by trade, but also a World War I veteran and Army Bugler. The family later moved to New Concord, Ohio, where John Jr. grew up. John graduated from New Concord High School in 1939 and entered Muskingum College, where he studied engineering. However, following the Japanese attack on Pearl Harbor, Glenn left college in March 1942 and enlisted as a United States Navy aviation cadet. He married his childhood sweetheart Anna Margaret Castor in 1943, but any semblance of a home life would have to wait. Soon after, Glenn completed his advanced pilot training and transferred to the Marine Corps, where he would fly 59 combat missions against the Japanese in the South Pacific. After World War II ended, Glenn returned home for a brief time to start his family. He and his wife Anna had two children: John David was born in 1947 and Carolyn Ann in 1949. However, he was soon called away from them again by the start of the Korean War in 1950. Glenn served two tours in Korea with the VMF-311 flying F9F Panther interceptors, flying 90 total combat missions. For his service of 149 combat missions in two wars, Glenn received the Distinguished Flying Cross on six separate occasions, as well as the Air Medal with 18 stars. Following the Korean War, Glenn applied for the U.S. Naval Test Pilot School, where he graduated in 1954. 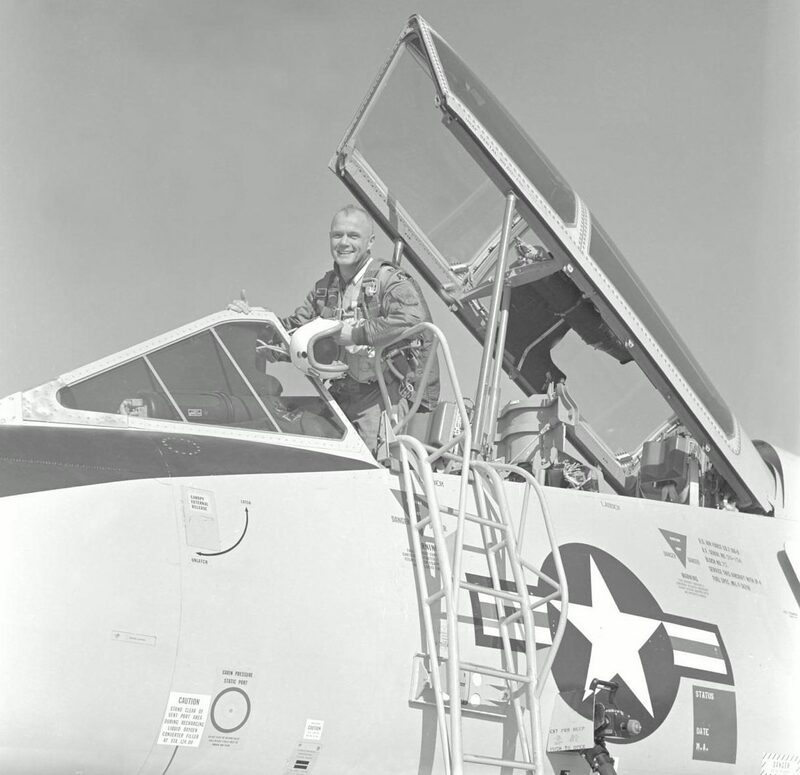 In July 1957, he completed the first supersonic transcontinental flight in a Vought F8U-3P Crusader from Los Alamitos, California, to Floyd Bennett Field, New York. Project Bullet, as the mission was called, was the first transcontinental flight to average supersonic speed and, despite three in-flight refuelings, took a mere 3 hours and 23 minutes. In 1958, Glenn applied to the newly formed NASA. He was selected as one of seven out of the 508 candidates to train for the up and coming space missions. Called the “Mercury Seven” after the spacecraft they would pilot, the group consisted of Glenn, Alan Shepard, Gus Grissom, Scott Carpenter, Wally Schirra, Gordon Cooper, and Deke Slayton. On Feb. 20, 1962, Glenn became the first U.S. astronaut to orbit the Earth. 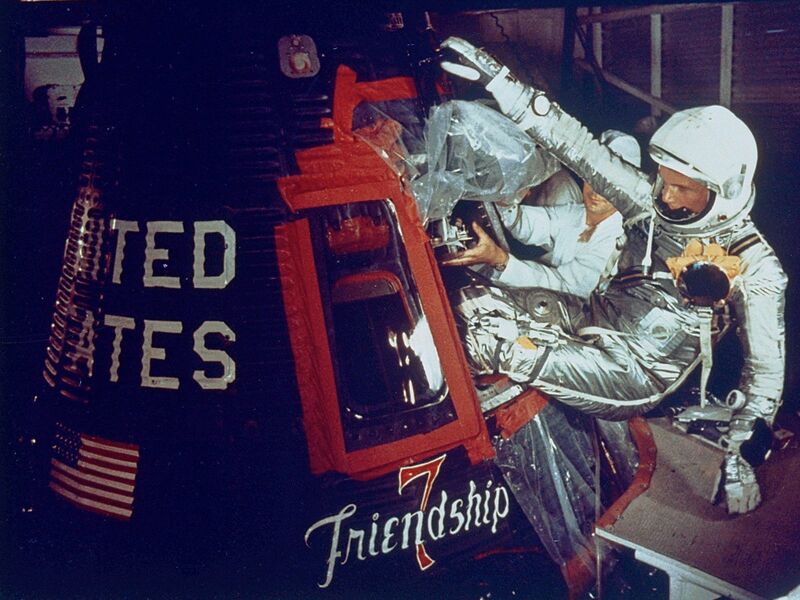 Aboard his Mercury spacecraft, Friendship 7, Glenn completed three orbits in four hours and 55 minutes. Glenn left NASA in 1964 after his solo orbital mission in Friendship 7 and sought a career in public service. During his 25 years as a U.S. Senator, he was able to achieve many goals. He was chief author of the Nuclear Non-Proliferation Act of 1978, and he sat on the Foreign Relations and Armed Services committees, as well as the Special Committee on Aging. In 1998, Glenn helped found the John Glenn Institute for Public Service and Public Policy at Ohio State University to encourage public service. It is a school that Glenn believed in so deeply, he retained an adjunct professorship even until his death 18 years later. 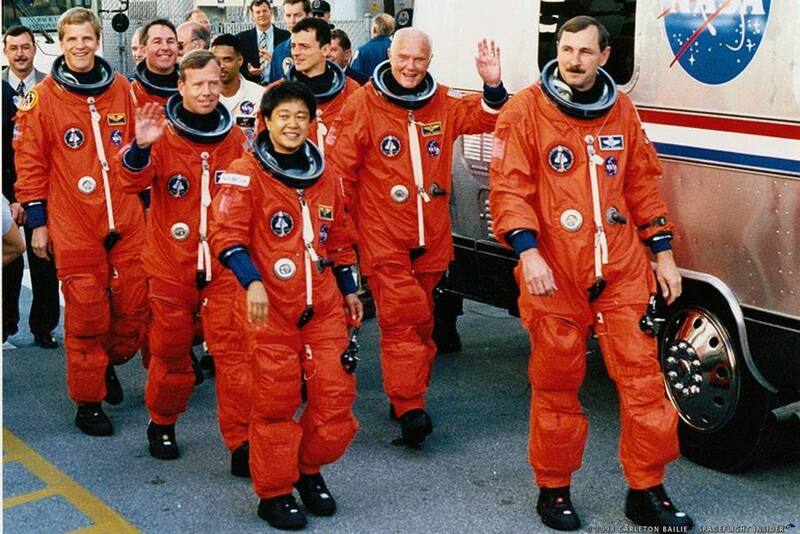 Glenn returned to space on Oct. 29, 1998, at the tender young age of 77 as a payload specialist on board Space Shuttle Discovery’s STS-95 mission. As humans became a space-faring species, Glenn and NASA scientists saw there was little-to-no data on the effects of space travel on the aging process. As a former pilot and astronaut, Glenn at 77 was the perfect candidate to help shed valuable light on such research. It was a worthwhile endeavor Glenn eagerly embraced, despite the inherent dangers that spaceflight can pose. John Glenn spent his life identifying new challenges and striving always toward the greater good. His legacy is one of public service. Whether in the cockpit of a Marine fighter, perched high atop an Atlas rocket, or in the Senate chambers of Washington D.C., this son of an Ohio plumber has touched the lives of millions of Americans, and will be an inspiration for generations to come. The views expressed within this feature are solely those of the author and do not, necessarily, reflect those of SpaceFlight Insider. David Brown is a commercial photographer and eight year U.S. Army veteran. He has produced imagery for the Los Angeles Times ( arrival of Space Shuttle Endeavour) the Department of the Navy (USS Enterprise) as well as numerous news and travel outlets across the United States. While serving in the military Brown studied criminal science, history, and literature at North Western University and the University of Maryland. The endeavor closest to Brown's heart is his non-profit dog and animal rescue Faces of Rescue.org. Allowing him to bring his experience behind the camera and his love of dogs to assist the many rescue organization across the US. Together with his best friend Shutter they have rescued or assisted in the rescue of more than 1,000 dogs since 2013.